Paramedical staff is an invaluable asset of the Ayodhya Eye Hospital (base camp) hospital, and their learning and training at every level plays an important role in achieving service excellence. 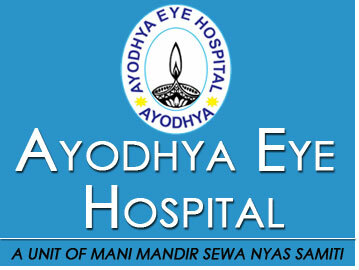 The OAs working at the Ayodhya Eye Hospital (base camp) hospitals are boys & girls from the surrounding areas, usually rural, who receive intensive training for two years. The training schedule includes six months of general training, and then, according to aptitude, department-specific training for one-and-a-half years. The latter training is conduced by the doctors as well as supervisor Ophthalmic Assistants. Theory classes, practical and on-the-job training conclude with examinations, after which the successful trainees are recruited as part of the hospital staff. One of the advantages of training the Ophthalmic Assistants within the system is that not only are they fully trained in the protocols, procedures and systems of Ayodhya Eye Hospital (base camp), they also imbibe the caring and compassionate culture, that is carried forward through them. Training of Trainers has also been initiated recently during which Ophthalmic Assistant supervisors are trained by doctors in skills up-gradation and training of junior or trainee Ophthalmic Assistants.